Anil K Gupta: I've tried enlisting the major activities professor Anil K Gupta involved into. Fellow, The World Academy of Art and Science, California 2001. Mission: expansion of global as well as local space for grassroots innovators to ensure recognition, respect and reward for them; blending excellence in formal and informal science; protection of intellectual property rights of the innovators but also expanding open source as a part of ‘technology commons’; ethical issues in conservation and prospecting of biodiversity; linking innovations, investments and enterprise; creating knowledge network at different levels for augmenting grassroots green innovations and inventions in informal and formal sector. Courses taught: Globalising and Resurgent India through Innovative Transformation (GRIT) with Bharat Ratna Dr. A P J Abdul Kalam, former President of India (2008-09), Indian Social and Political Environment (ISPE, 1995-2007), Shodhyatra (learning walk in Himalayan region), Creativity, Innovation, Knowledge Network and Entrepreneurship (CINE), Institution Building (IB), Strategic Management of Intellectual Property Rights (SMIPR), Agri Management( AM II), etc. Organized four Inventors of India forum to bring together individual inventors from formal and informal sector together (1998-2008). Editor, Honey Bee Newsletter promoting people to people learning and represents the voice of creative grassroots innovators for over twenty years. Has published extensively in national and international journals, Books and magazines. Consultant to several national and international organizations. 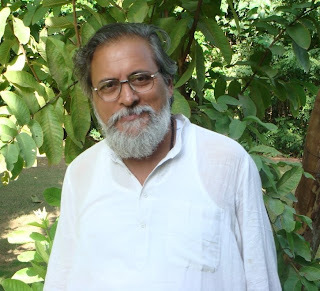 Prof. Anil has established Society for Research and Initiatives for Sustainable Technologies and Institutions SRISTI www.sristi.org in the year 1993. Grassroots Innovation Augmentation Network GIAN in the year 1997 www.gian.org. Set up the National Innovation Foundation NIF www.NIfindia.org in the year 2000. NIF has mobilized more than 140,000 innovations and traditional knowledge practices from over 545 districts of India, the largest database of its kind any where. Recently through student volunteers and without much external support, established a portal of 104,000 tech student projects at www.techpedia.sristi.org or www.techpedia.in to link the needs of informal sector and small and cottage industry with the young technology students besides increasing Innovation Quotient of the country, preventing students do a repetitive project. Illustrative lists of problems in search of solution and innovation in search of augmentation are also listed here. Likewise sristi.org is creating a portal for street art Culturally Alive! India and another one for opens source educational software for children. Another multi-media multi language platform for collaborative product design for augmenting green innovations and social enterprises is also being developed. A twin centre for Grassroots innovation has been set up in collaboration with Tianjin University of Finance and Economics, China. Similar efforts are on with other developing countries to promote grassroots to Global ( g2G) strategy for knowledge based approaches to poverty alleviation and employment generation. B.P.Pal Memorial Lecture from IARI, New Delhi, 24 May 2008; chosen by India Today, leading weekly as one amongst 50 Pioneers of Change in the country. Pandit Iswar Chandra Vidyasagar Lecture from the Asiatic Society, Kolkata, 2006, delivered in 2007; Honorary Professorship at Tianjin University of Finance and Economics, Tianjin, China, 2007. Guest faculty at University of Natural Resources and Applied Life Sciences, Vienna, Austria. Received Bharat Asmita Acharya Shrestha National Award 2006 from MIT School of Management, Pune, in recognition as the Best Management Teacher and received similar award from the students at IIMA in 1982. Awarded the distinguished Indian National Science Academy- B.D.Tilak memorial lecture on science and society, 2005. Received Padma Shri National Award from the Hon'ble President of India, 2004 for distinguished achievements in the field of management education. 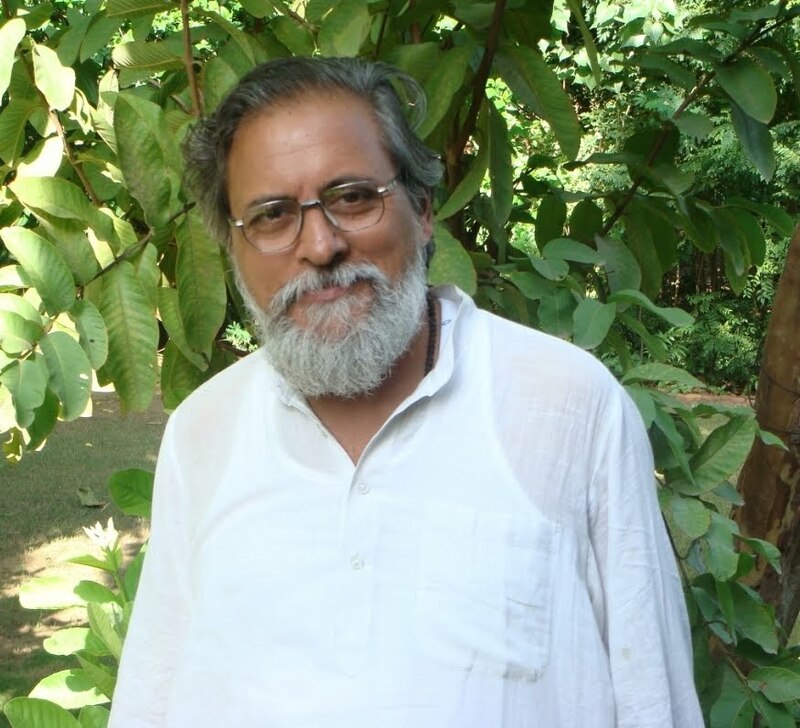 Joint recipient of Science-in-Society Award instituted by The Indian Science Congress Association, January 2004. Adjudged as one of the fifty most influential people in the field of intellectual property rights around the world in 2003. Star of Asia Award, Business Week, 2001. Asian Innovation Award Gold from Far Eastern Economic Review (Oct. 26, 2000) for coordinating SRISTI and Honey Bee Network. Pew Conservation Scholar Award, 1993-96, University of Michigan, USA. Member, National e-Governance Advisory Group, Ministry of Communication and Information Technology, New Delhi, 2010. Non-official Director, Board of Indian Medicines Pharmaceutical Corporation Limited, Mohan, Dist. Almora, Uttarakhand, 2010. Visitor’s Nominee on the Selection Committee, Centre for Technology Alternatives for Rural Areas, IIT, Mumbai. Member of the Expert Group on Innovation for mid term appraisal of the 11th Five Year Plan 2009. Invited to be founding member of the LAUNCH - A global initiative to identify and support the innovative work poised to contribute to a sustainable future and accelerate solutions to meet urgent challenges facing our society by NASA. Member, Jury of Asian Innovation Awards by Asian Wall Street Journal/FEER 2002-2008. Jury to select 12 most promising climate Friendly Innovations in Sweden by Global Focus 2007-08. Jury for Tata Innovations Award (2008). Committee on Credit Flow of Ministry of Micro, Small & Medium Enterprises, Government of India, 2009, Advisory Committee of World Economic Forum on Entrepreneurship Education; Thermax Innovation Council. Technical Advisory Group of Media Lab, Asia; Expert Committee for the schemes STARD, STAWS,YS, TSP and SCSP under the Science and Society Programme of Department of Science & Technology, Government of India. Advisory Committee for Recruitment and Assessment Board, Council of Scientific and Industrial Research, Delhi, Research Council of Advanced Materials and Processes Research Institute AMPRI. Bhopal; Advisory Board of Innovations, MIT Press. Editorial Advisory Board of International Journal of Sustainable Development, Editorial Board of International Journal of Commons, IASCP, USA. Journal of Rural Development, National Institute of Rural Development, Hyderabad. Advisory Board of the newsletter, Business.2010, published by Secretariat of the Convention on Biological Diversity, Canada. Research Council for National Institute of Science, Technology and Development Studies (NISTADS), New Delhi. Research advisory Committee of Department of Drinking Water Supply Government of India, New Delhi, etc.